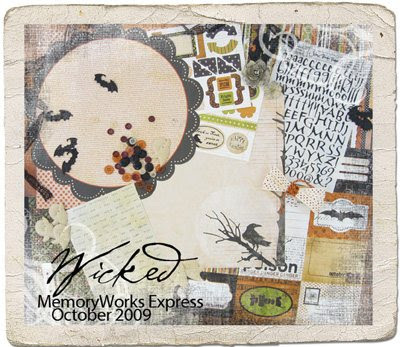 A Matter of Memories: :MEMORYWORKS EXPRESS: October 2009 Kit - "Wicked"
:MEMORYWORKS EXPRESS: October 2009 Kit - "Wicked"
Join me in doing something wonderfully wicked this Halloween season! The October MemoryWorks Express kit is perfect for all of your spooky Halloween memories! Treat yourself to one today!